Miguel Iven was born 1957 in Hamburg and is considered to be one of the best non-spanish Flamenco players. He lived, studied and worked 12 years as a professional guitarist in Andalusia. Already as a child he learned to play piano, trumpet, drums and guitar. After his musical studies at the universities in Hamburg and Cordoba he worked from 1986 till 1989 as guitarist for the flamenco dance academy of Manolo Marin who was at that time one of the most demanded choreograph from Seville. Miguel worked with several awarders of national flamenco awards and renown artists from the ensembles of Antonio Gades and Mario Maya as well as for Cristina Hoyos ("Carmen") the indisputable queen of flamenco dance in Spain. With the ensemble "Triana Flamenca" under the direction of Manolo Martin he performed regularly in important theatres and peñas in the home of flamenco Andalusia. As soloist he presents himself 1990 in Seville recorded by Televisión Española at the VI. Bienal de Arte Flamenco. Henceforth he plays regularly concerts in Germany, Spain and other European countries. He was invited several times to the Schleswig-Holstein-Musikfestival, the Rheingau-Musik-Festival, the Bienal de Arte Flamenco in Seville or the American Institute of Guitar in New York. 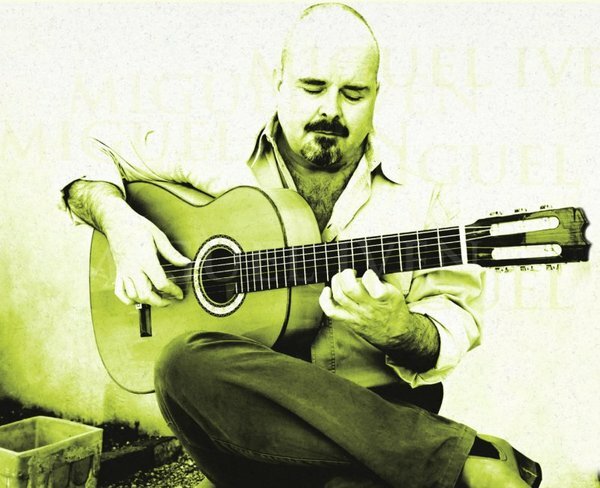 Miguel Iven has produced 5 CDs so far that were all distributed by renown flamenco companies. "Flamenco de Solera y Crianza" was released by the German-spanish label Galileo Music and received also in Spain great critics. His different productions document perfectly also his work as a composer who plays mainly his own tunes that mix traditions with modernity. After lots of concerts presenting "Flamenco de Solera y Crianza" Miguel Iven recorded with his friend Conny Sommer on percussions and musicians from the Leipziger Gewandhausorquestras his new album "Flamenco Entre Amigos". At the same time Miguel releases his first score book with transcriptions of his best compositions for solo guitar (Produktionen).